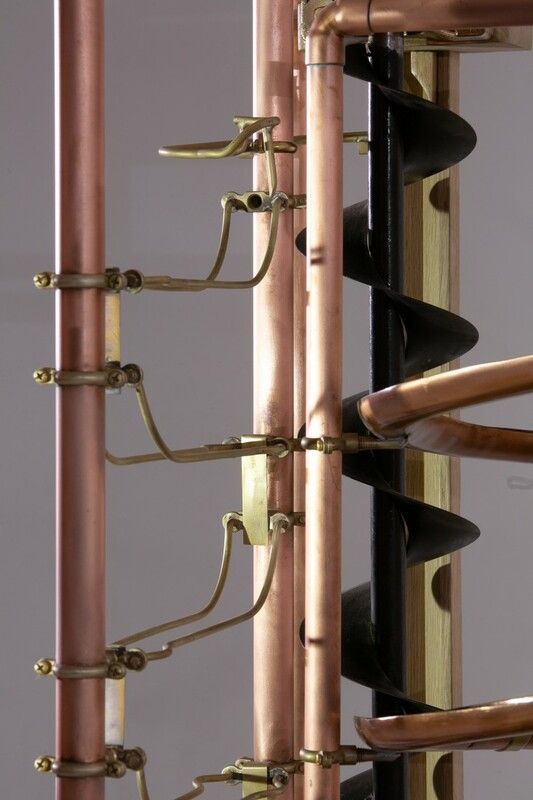 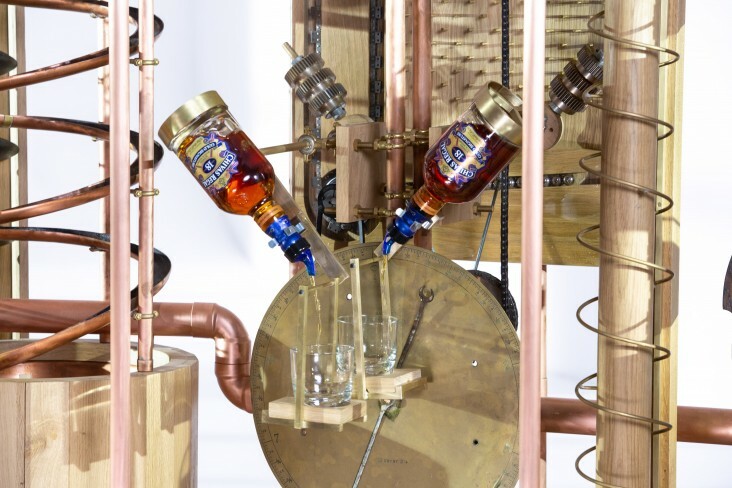 Pangolin PR gave us a simple brief – the most complicated whisky pour machine ever made! 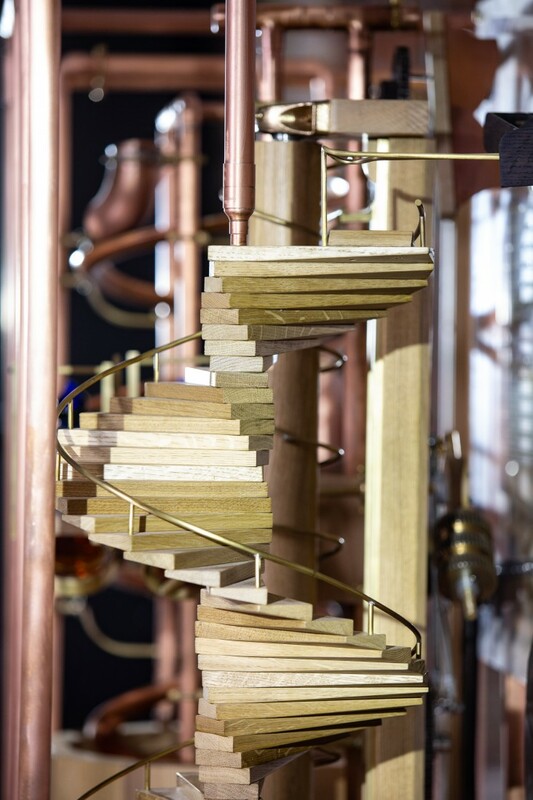 We fabricated a Rube Goldberg machine from Chivas distillery parts, brass, oak and copper to match Chivas’s brand palette. 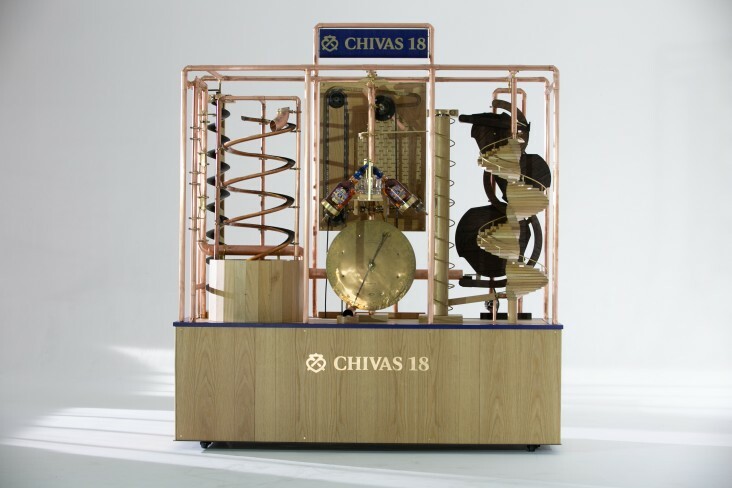 It features a 40mm stainless steel ball which travels along a journey of several lifts and falls, releases a multi-ball section and mechanically pours 2 users a glass of Chivas Regal whisky at the end.